made for monitoring a system. possession is planning to use the software for purely legitimate purposes. Trojans normally comprise of 3 things, a Client, Build/Edit Server and Server. normally come with a client. These Clients normally have an easy to use graphical interface, like the Trojans I have documented below. Clients are used to connect to infected machines and send and receive information.In the case of reverse connection, the server connects to the client. 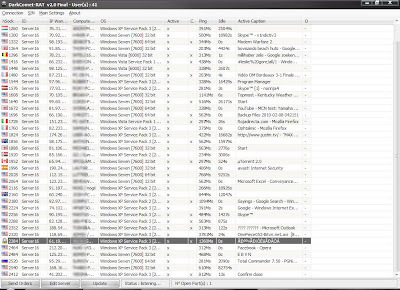 A Edit Server is a program used to edit the settings of a Trojan server. Disabling of things like Command Prompt, Task Manager and Registry Editor. the settings to the server or possibly build a new server. The server is the actual virus which the Hacker/Script Kiddie will try to infect you with. your system registry in order to make sure they are restarted on system start up. 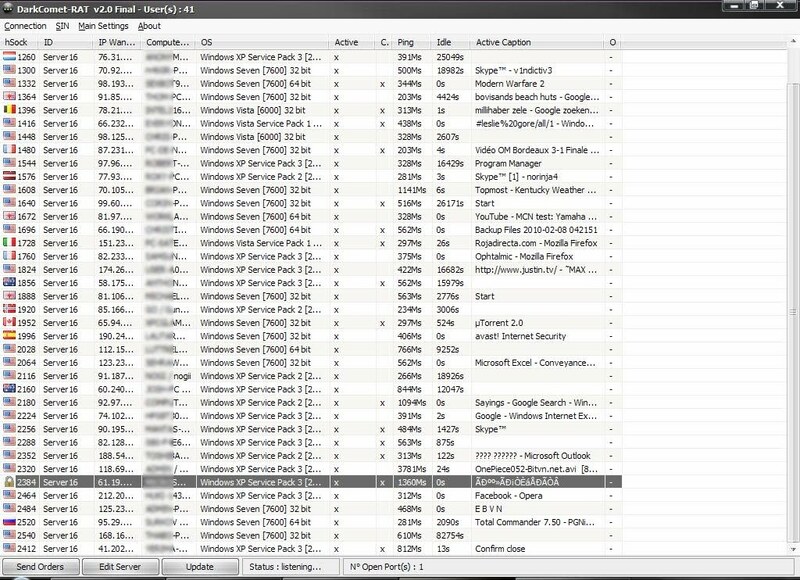 DarkComet-RAT (Remote Administration Tool) is a fast/powerfull and stable remote admin tool that alloud you to control the whole remote computer , you can view the desktop / webcam / manage process / listen to the sound etc… in the same time with a realy good speed , DarkComet is work in localhost , LAN ( Local Area Network ) , and WAN ( Wide Area Network ) . He is compatible with [Windows 2000 , Windows XP (all sp), Windows Vista (all sp) and Windows Seven] For 32(.386) and 64 bit machines. To use it on VMWare you must choose the bridge option for network , ( NAT mode ) seems to lost some packets on transfers about 90% of the functions of DarkComet. The Client is full Coded in Pascal/Delphi using CodeGear Delphi RAD 2010 ( UNICODE ). The Server is coded in Pascal/Delphi ans Inline Assembler code using Delphi 2007 ( ANSI ). Don’t forget to read disclaimer and EULA terms , when you choose to download this software you are fully responsable of the possible harmfull things you can do with it. This software can be detect as a Virus/Backdoor/Trojan cause it alloud you to remote control a computer without any autorisation.